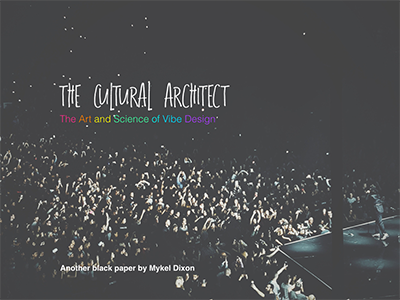 Mykel Dixon is Australia's foremost expert on Enterprise Artistry, Cultural Architecture & Atmospheric Design. A musician by trade, gypsy by nature, fierce nonconformist, accidental author, & prolific anti-perfectionist, Mykel is leading a new wave of entrepreneurial experts showing forward-thinking companies how to stay relevant in a 21st Century Renaissance. As a Keynote Speaker, MC, & Event Experience Designer, Mykel's work invites audiences to reawaken their innate creativity, reimagine their infinite value (as individuals and brands), and redesign their workplaces to be temporary houses of belonging; purpose built for radical inclusion, human-centric innovation and wild & untamed self-expression. 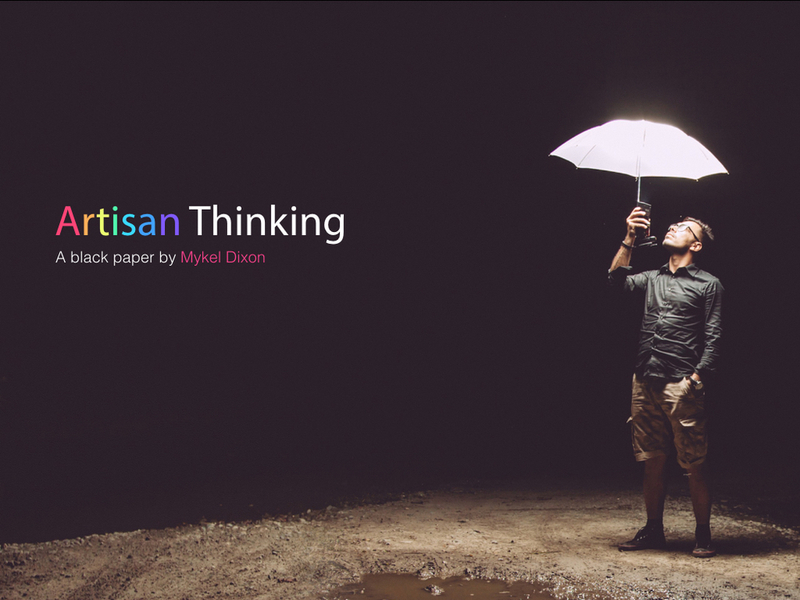 Mykel Dixon is the not-so-secret weapon for future-focussed enterprises who need to produce meaningful, impactful and highly original work. Which nowadays, is all of us. Amidst a world abundant with shallow hacks and copycats, Mykel Dixon is a perspicacious beacon of depth, wisdom, wit and warmth. ‘The Future Belongs to the Artists’, he says—and he embodies this. He lives it, and shows us the way. 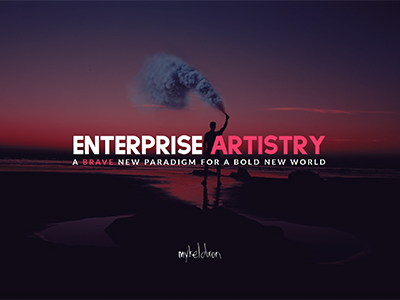 For any leader looking to awaken artistry in their enterprise, to envision new ways of working, and to elevate all that is authentic and human—Mykel Dixon is your man. I recommend him heartily to any event organiser who says ‘we want to do something different’ (and genuinely means it).